Following a protracted fight to establish her immigration status, the Home Office has finally conceded that a Jamaican woman, who entered the UK in October 1973 as a 14 year old child, has indefinite leave to remain. Ms Burrell came to the UK to join her parents who had themselves arrived in the early 1960’s. In Burrell v Secretary of State for the Home Department JR/10654/2017, the applicant Ms Burrell, who was educated in the UK, worked and paid taxes here for many years and has four British children and 10 British grandchildren, lost evidence of her status when her passport was destroyed in a fire several years ago. Ms Burrell was issued with a notice informing her that she was liable to detention and removal. When she contacted the Home Office she was told there were no records of her entry and that she did not have ILR. Wilsons commenced judicial review proceedings on 22nd December 2017. The Home Office has now accepted that Ms Burrell has had ILR since 1973, and agreed to pay her costs on an indemnity basis. The ordeal relating to Ms Burrell’s immigration status lasted for over five years. The Home Office acted with callous disregard for the very real misery that their actions caused. The excellent campaigning and investigative journalism by Amelia Gentleman and the Guardian Newspaper together with David Lammy’s passionate shaming of the government completely changed the climate in which Ms Burrell’s litigation was being fought and was pivotal to securing the Home Office capitulation. 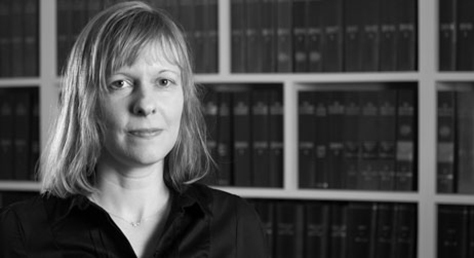 Counsel in the case was Helen Foot at Garden Court Chambers. Emma Terenius was the conducting solicitor at Wilsons. Wilson solicitors are participating in the legal advice surgeries for those affected by the Windrush scandal at the Black Cultural Archives during May. We are also working closely with the officers of our local MPs Kate Osamor and David Lammy and supporting them in their efforts to secure justice for any affected constituents. If you are concerned or affected by the issues above and would like to discuss your case, you can contact Emma Terenius (e.terenius@wilsonllp.co.uk) directly or our appointments secretary Dionne Smith on 0208 885 7979 or email at: d.smith@wilsonllp.co.uk.